1. The perpendicular bisector of a segment . 2. The circumcircle of a triangle . The second construction uses the first construction twice. 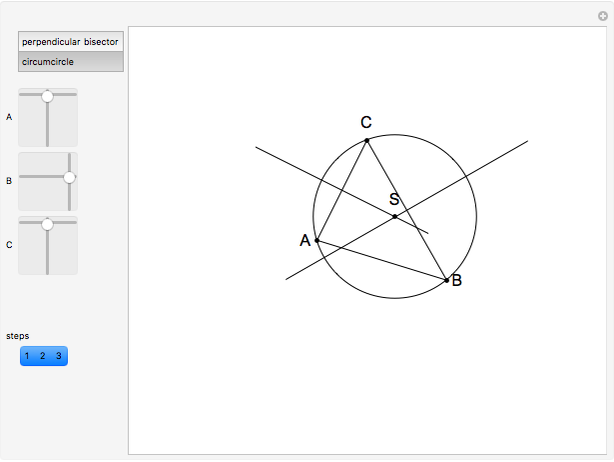 Construct the perpendicular bisector of and of . The center of the circumcircle of the triangle is the intersection of these bisectors. 1. Draw the line segment . 3. 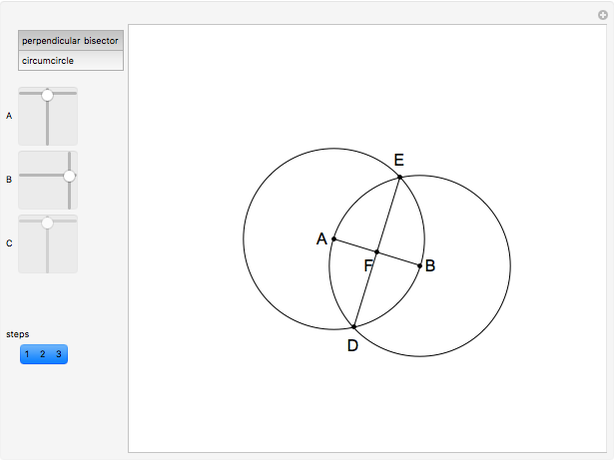 The circles intersect at two points, and . The perpendicular bisector of is the line through these two points. The point is the midpoint of . 1. Draw a triangle . 2. 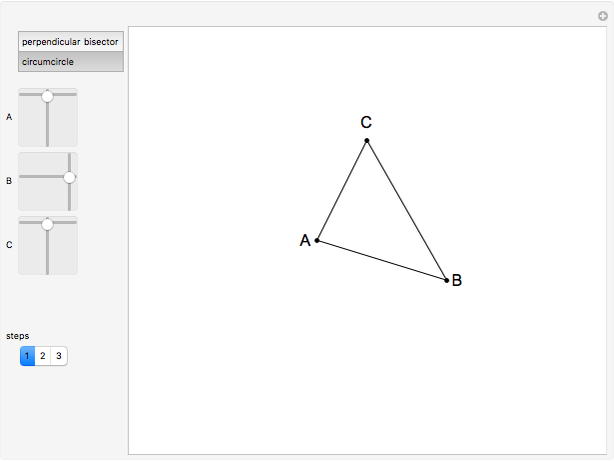 Draw two perpendicular bisectors of —for example, of and . Let be the intersection of the two bisectors. 3. The circumcircle has center and radius . Euclid I. 10. Construct the midpoint of a given segment. Euclid IV. 5. About a given triangle, circumscribe a circle. G. E. Martin, Geometric Constructions, New York: Springer, 1998, pp. 4–5. Izidor Hafner "Given a Segment, Construct Its Perpendicular Bisector; Given a Triangle, Construct Its Circumcircle"